Pat's Electric - Monona Chamber & Economic Development, Inc.
Pat's Electric's is a family-owned and operated business since the 1970s, and every day Pat and his son Ben are working together to build their family business. Its home base is at 628 Ann Street in McGregor, Iowa but Pat's Electric's service coverage area serves the Iowa towns of MFL CSD (Monona, Farmersburg, Luana, McGregor, Marquette) and also the other side of the river into Prairie du Chien, Wisconsin and beyond for up to a 30 to 45-minute drive from its McGregor base. ​Pat's Electric is a proud member of Monona Chamber & Economic Development, Inc.
Pat's Electric purchases its equipment and supplies from reputable electrical vendors. Pat promises to use only quality supplies and materials when working on your next project. As with our existing customers, you will love our results and never regret hiring us. In fact, we have many returning customers who are happy to refer us to potential new customers. 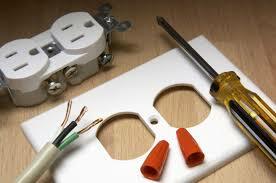 Our electrical business is growing ~ come grow with us! 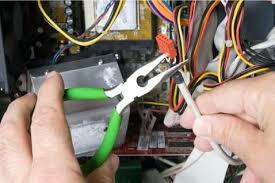 Need your repairs done right away and done the right way? Simply contact us to set up your appointment. 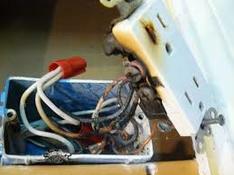 Pat's Electric will also help you alleviate costly or time-consuming problems before they turn into bigger issues. All you have to do is call us and we'll be there with urgency to seamlessly help fix your problems. 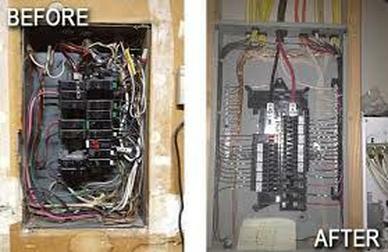 Pat & son Ben have over 50 combined years of contracting experience in the electrical industry. Pat's Electric provides the most-helpful, friendly, and honest customer service you'll find in this area. Whether it is wiring your new home addition, rewiring a cherished old lamp or fan, or checking and re-writing your older home's electrical system, our goal is to always provide you with quality service that you may count on and trust. With our efficient practices, competitive rates, courteous service, and attention to detail, you will not be disappointed in our work. 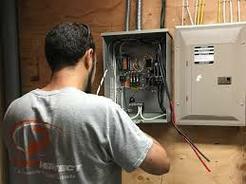 a call today at (563) 873-2431 for a FREE QUOTE of any of your electrical needs -- new or existing residential and commercial properties -- we do it ALL!